There is no escape for a water flea that hits one of the submerged suction traps of bladderwort. Within a split second, the trapdoor opens and closes and the water flea has disappeared, as Simon Poppinga and colleagues show. Some carnivorous plants, which feed on small animals, possess motile traps to capture insects or other prey. The fasted motile trapping device belongs to aquatic bladderwort species, according to Simon Poppinga and colleagues. 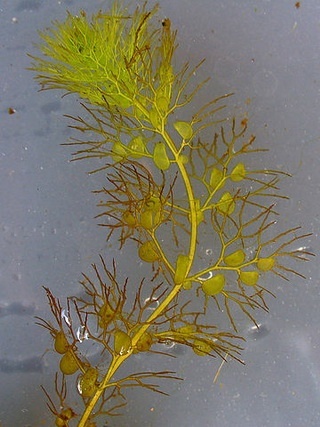 The stems with yellow flowers of these floating water plants are visible above water level, while the leaves, bearing bladder-like suction traps, are below surface. 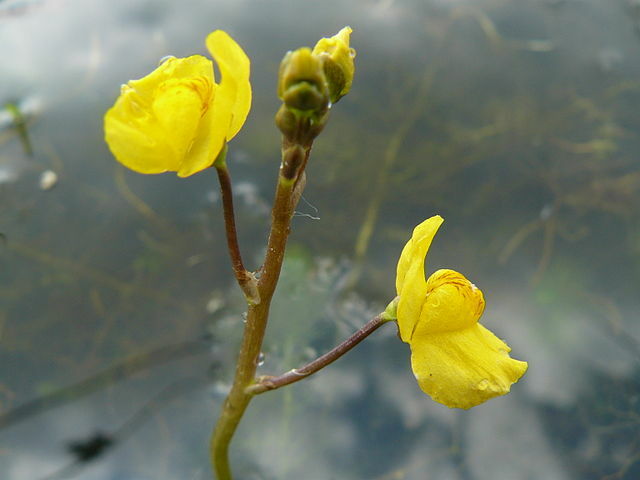 Using a high-speed camera, the researchers recorded the action of the suction process in Southern bladderwort bladders when trapping a water flea. 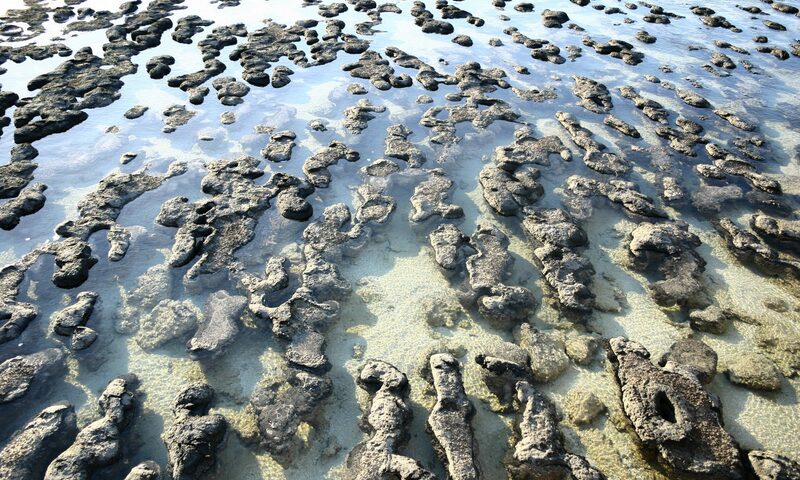 Each trap is filled with water, sometimes also with some air, and because water is continuously pumped out, there is a negative pressure within. The bladder entrance is closed with a flexible door which is fixed along the upper part, resting on a threshold and bulging outwards; it bears trigger hairs that are sensitive to touch. As soon as a water flea touches a trigger hair, the door will invert its curvature, bulging inwards. In that position it can’t resist the water pressure and swings open. The water flea is sucked into the bladder with a velocity that increases to 4 meters per second. It is unable to interfere with the process in any way. As soon as it is in, the water flow decelerates. The strong acceleration and deceleration immobilize the animal and maybe even kill it. And if still alive, the water flea will die soon due to anoxia. The door recloses and regains the convex curvature. The whole process took only 0.01 second, and within a couple of hours, the prey will be digested.